Knitting is the perfect social hobby. The projects we create are portable enough that you can knit almost anywhere. Grab your knitting bag, follow these simple tips and you'll be knitting with friends in no time! 1. Find a location: You'll want to find a place where you can knit with other people and talk as a group. Consider places like coffee shops, independent restaurants, local bars or even a botanical garden. It's a good thing to call ahead or ask the manager if they are ok with your group staying for a couple of hours. Your local yarn shop may also be open to the idea of housing your knitting group. Some shops even have an extra table just for this purpose! Remember that shops and restaurants are businesses and rely on your patronage to stay open so be sure to buy your food or drinks or yarn at that location. 2. Pick a time: Do you work? Do you have small children? Are you only free on the weekends? Choose a time that works well with your schedule so you can always go to your knitting group. Maybe you have children in school and knitting after the morning carpool over a cup of coffee sounds divine. Or maybe you work full time and sitting down to chat and knit with a cocktail in hand is right up your alley. Give it some good thought and find the time that is best for you. 3. Find other knitters: Start by asking your friends if they can join your knitting group. You have a location and a time so now is the time to let them know where you (and your knitting) will be! Ask if your local yarn shop has a bulletin board where you can post meeting times. 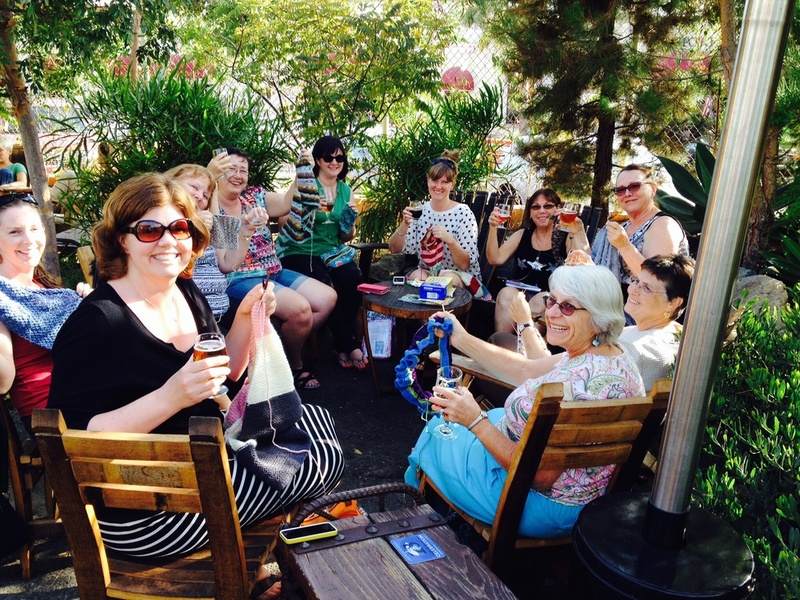 Expand your knitting circle by posting your group's event details on Meetup.com. Developing a community of knitters helps you be more engaged. You'll see more projects to expand your imagination and knitting horizons. Maybe you'll even be able to help a newer knitter learn a new stitch or two. By starting your own knitting group you'll get to meet new people with like-minded interests. There's never a lull in conversation because every knitter loves to chat about yarn and show off their latest project! What are you waiting for? I think you'll be amazed how many knitters there are in your area and you might even make some new friends through knitting. How fun!